Toronto – Game devs, get your creative game on for TOJam 2010, being held this April 23 – 25th at George Brown College. The theme for this year’s Toronto Independent Game Jam is “Missing” – no – really, that’s what it is. Please check out Ryan’s blog over at Untold Entertainment for more details about TOJam, then go, dev crunch, create, have fun. Charlottetown – Other Ocean Interactive, has partnered once again with SEGA® of America to bring you Super Monkey Ball 2: Sakura Edition available exclusively for the highly anticipated Apple iPad. 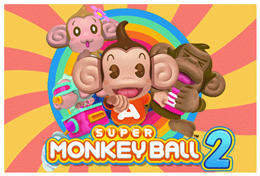 Super Monkey Ball 2: Sakura Edition brings all the fun of the immensely popular console and iPhone hit to the iPad plus 4 new mini-games: Monkey Bowling, Monkey Target, Monkey Golf and the iPad exclusive mini-game Monkey Base. Monkey Base lets up to 4 players fight it out on the same iPad by launching orbs at each other to try to be the last monkey standing. And if all that wasn’t enough, players can now experience 10 iPad exclusive levels from the Far East World, in stunning graphics! The iPad exclusive Super Monkey Ball 2: Sakura Edition is now available on iTunes for $12.99 USD. Vancouver – IUGO Mobile Entertainment today announced the availability of four iPad apps on the App Store. The apps are: Zombie Attack! Second Wave XL; Zombie Attack Bridge Defense XL; Cliffed XL; and Implode! XL. All four games showcase the unique features and capabilities of the iPad. New features such as multiplayer co-op mode in both Zombie Attack! Second Wave XL makes use of the enhanced Multi-Touch and large screen of iPad. Each game features high resolution graphics with more detail and clarity. 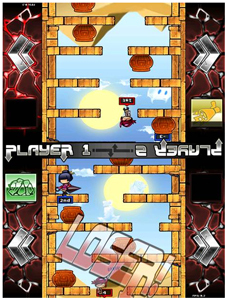 Cliffed XL comes with new characters, multiple background themes and on-device “Versus” mode for two players. Implode! XL, IUGO’s hit physics puzzler, includes a major revamp with new levels and a brand new level editor designed solely for the innovative iPad interface. The IUGO Apps for iPad are available from the App Store on iPad. Remember if you already have any of these titles for your iPhone you can now play them on your iPad. London – Big Blue Bubble Inc. is pleased to announce the release of Thumpies XL for the iPad. In this new version, all the graphics have been updated to higher resolutions specifically for the iPad. You won’t want to miss out on the fun and neither will your friends, who can now play with you with a new multiplayer mode! Work together to beat the levels and then check out the scores to see who came out ahead. Thumpies XL is a unique rhythm-based music game for players of all ages. By correctly matching the beat of bouncing Thumpies the player progresses through a song. Unlike typical rhythm based games, Thumpies XL uses a mechanic of bouncing in time instead of just a series of notes. Who knew juggling furry creatures could be so much fun? The quirky art design of Thumpies XL is accompanied by a unique musical score composed by award winning, industry veteran David Kerr. The music was crafted with game play in mind, giving the player a harmonizing experience. This entry was posted on Monday, April 5th, 2010 at 1:47 pm and is filed under Awards, Casual, Education, Events, Game Dev, Mobile, Music, New Releases. You can follow any responses to this entry through the RSS 2.0 feed. You can leave a response, or trackback from your own site.